Ten miles west of the Oklahoma-Arkansas border lies the small town of Spiro, Oklahoma. It was two years before Oklahoma became a state when a baby named Albert E. Brumley was born. Growing up in rural Oklahoma, Brumley was born to sharecroppers who picked cotton olike many young people in that day and region. It was not an easy life. With $3 in his pocket, he walked twenty miles to the Hartford Musical Institute in Hartford, Ark., in 1926. Even though he did not have the financial resources to attend the school, his mentor and head of the school, E.M. Bartlett, allowed him to stay and housed him. 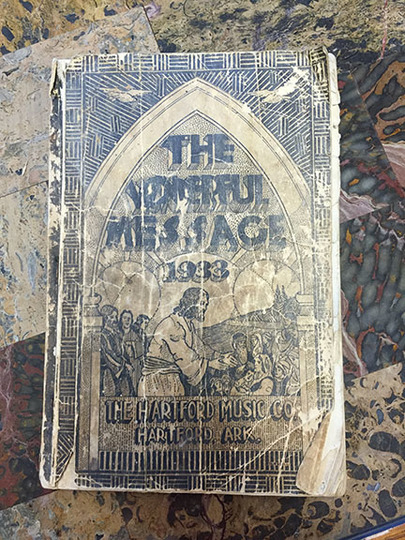 He finished his studies in 1931 and eventually bought the Hartford Music Company in 1948. 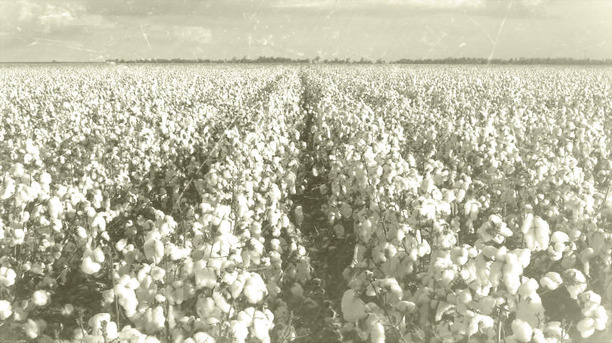 Anyone who has performed any bit of farm work understands the intense physical and mental labor involved, so there can be no doubting this quote of Brumley’s: “Actually, I was dreaming of flying away from that cotton field when I wrote ‘I’ll Fly Away.’” However, it took on a spiritual meaning, as it became a favorite gospel song. 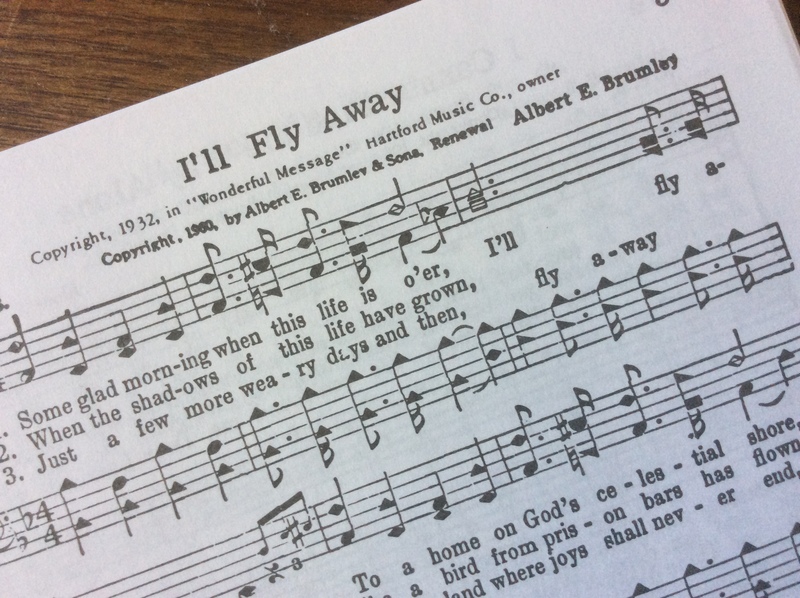 “I’ll Fly Away,” has been played and sung in some of the nation’s largest auditoriums and presented by one of our country’s most popular music organizations, The Boston Pops Symphony Orchestra. 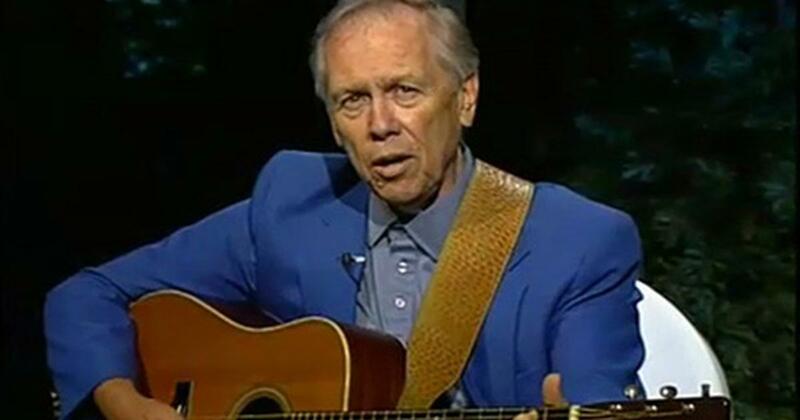 Chet Atkins was the guitar soloist for that presentation. 5,000 versions have been sung by artists all over the world. Perhaps the scripture, “Oh that I had wings like a dove! For then would I fly away, and be at rest.” Psalm 55:6, might have influenced the writing. Of course, one cannot deny the sheer fun of singing these songs with their rousing melodies that are easily caught by children and adults. Whether in a concert, family get- togethers, or in a church service, singers become participants with this song. There is smiling, patting of feet, and clapping of hands. We used to sing it as a family on our car trips. This simple song has a message that literally carries an audience away. In church, I have heard song leaders say the words of introduction, “Let’s sing a song everyone knows.” Guess which one that is? Among the impressive artists who have shared “I’ll Fly Away” are Jerry Lee Lewis, Kanye West, George Jones, Randy Travis, Willie Nelson, Johnny Cash, Merle Haggard, Hank Williams, Sounds of Blackness, Alan Jackson, Crystal Gayle, Jars of Clay, Charley Pride. Loretta Lynn, Andy Griffith, and Elvis Presley. Alison Kraus sang “I’ll Fly Away” at a concert at Converse College here in Spartanburg about twenty-five years ago. I bought tickets for them to attend, and they both returned smiling. The concert was sold out. You might want to listen to her and Gillian Welsh share it here in the “Brother, Where Art Thou?” Soundtrack. Albert Brumley’s words matched his song lyrics. It is my conviction and “blessed hope,” too. And, yes, it will be a glad morning…. Spending years writing and tinkering with melodies and lyrics, Albert Brumley wrote over 700 songs. This country gospel world owes much to this composer, as do we. My grandmother used to sing “Turn Your Radio On” when she was dusting the farmhouse at Mirror Lake Farm. And, yes, that petite red head kept the rhythm with her feet. Guess who the composer of that popular song was? Mr. Albert E. Brumley…. Posted in Uncategorized and tagged " "I'll Fly Away, "Turn the Radio On", Albert Brumley, Alison Krauss, country gospel, Shel Silverstein. Bookmark the permalink. Categorized as a children’s song or campfire song, I can remember singing about the paw-paw patch on the playground at school. Even though it really didn’t make any sense, we certainly enjoyed the acting out and vocalizing of it. 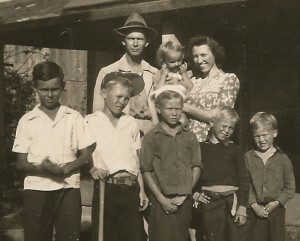 I didn’t know Jimmy, Nellie, or Danny, and a paw-paw was also beyond my ken. This song was similar to “Row, Row, Row Your Boat” and “The Bear Went Over the Mountain.” All three songs included action and repetition, though nonsensical. I have always loved music and grew up in a family that sang along in the car, raking leaves, or at church. Shel Silverstein understood children and songs. Whether adult or child, songs speak to us. Sometimes it’s the rhythm, sometimes the words, but more often it is the melody that sears our hearts. We sway, tap our feet, hum, or clap our hands to become part of the song. It not only tickles our ears, but we savor its essence. I have a friend that listens to NPR daily and particularly enjoys the musical sections in the afternoon. Her grandchildren have learned to recognize famous composers and their works from their visits with her. What a legacy she is passing on to them. Posted in Uncategorized and tagged "The Sound of Music", folk song, NPR, school, Shel Silverstein, Way down yonder in th paw paw patch. Bookmark the permalink. Perhaps you have lived through a tornado, but thankfully I have never had that experience. On the TV, I have seen the horrifying images of devastation cased by these funnel clouds. This morning I looked in amazement at a video a friend posted about last night; he lives about 15 miles from us. The image was of a small boat being pushed by the wind across his back yard. Around dusk, a couple of major thunderstorms wandered across Spartanburg County. It became darker and more silent, as they approached. The winds built up, the skies darkened, and the emergency weather system broadcast its alerts. A tornado was spotted below our town, and another possible one was to the north. No, we didn’t go to our hallway and shut the doors, but we continued to monitor the situation. In about an hour, the tornado warning was lifted. John went to the basement to be sure the sump pump was running and decided a ham sandwich, rather than a grilled steak was in order for our supper. This morning we woke to a new day of sunshine; the storms had vanished and moved on. Helen Keller is a heroine of mine. Her story is one of persistence, and the movie, The Miracle Worker, opened my eyes to how hope changes lives. The scene, at the water pump, where Anne Sullivan is pumping water into Helen’s six-year-old hand and finger spelling the word “water” into the other hand was profound. I can still see this in my mind, as joy, wonder, and hope melted together for Helen; the darkness was miraculously lifted. Her life started over. Hope is mighty, like the light of one candle. It can pierce the darkness and enable us to sleep at night. Don’t you think we should choose hope? Posted in Uncategorized and tagged Advent, Anne Sullivan, Desmond Tutu, Helen Keller, hope, Shel Silverstein, Spartanburg, The Miracle Worker, tornado. Bookmark the permalink.